You can print photos onto wood in several ways with today’s technology. Not all the home-made technology is great quality, and can take a lot a time and money to get what you want. Of course, these are great projects to do, and can be very satisfying. There is a great article here that goes through some of the DIY ways to do this and is actually fun to watch. 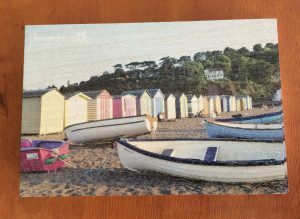 However, if you are looking for a high quality result that you can keep for years to come, be easy and cost-effective, the best way is to use a professional company who has had experience, or even use a laser engraving machine to burn the image onto wood. Printing onto various woods is easy and great value for money if you go down the right steps. We are able to print one-offs and 1000’s-off, all with the same results and quality. If you are looking for something that can be repeated over lots of units, on pretty much any material, then our process of printing on wood may be the best cost effective solution for you. Our process offers superior quality, meaning you can print full colour photos and graphics onto almost any kind of wood. Woods that can be printed onto, are pretty much endless, we love the way some species of woods give a distinctive grain feature, such as European white oak, while others can be so smooth and have almost no grain, these include woods such as Maple and Cherry. The definition of the printing onto these different woods, therefore give different results, and this should be considered, especially if you have very fine detail. Printing with wood can of course give you unpredictable results though. This is where experience can come into play. There are plenty of signage companies out there offering this service, however, not every wood is suitable for certain projects. For instance using a softwood for a sign to go outside will last only a few months, where as using certain hardwoods will increase the life of the project by years. Working with an experienced company such as Inspirwood, can give you peace of mind and save both time and money in getting the projects done. Printing photos onto wood is a great way to show your creativity and if you use the right method for the project, will give you an excellent result. For more information on how to do this, give Inspirwood a call or email us to get some samples. We’re here to help and are very friendly!